Come visit CARLETON REALTY REALTOR® Dianna Bourque at her Open House at 5871 Platinum Drive, Grove City, OH 43123 on Sunday 8/12 from 1PM – 3PM. 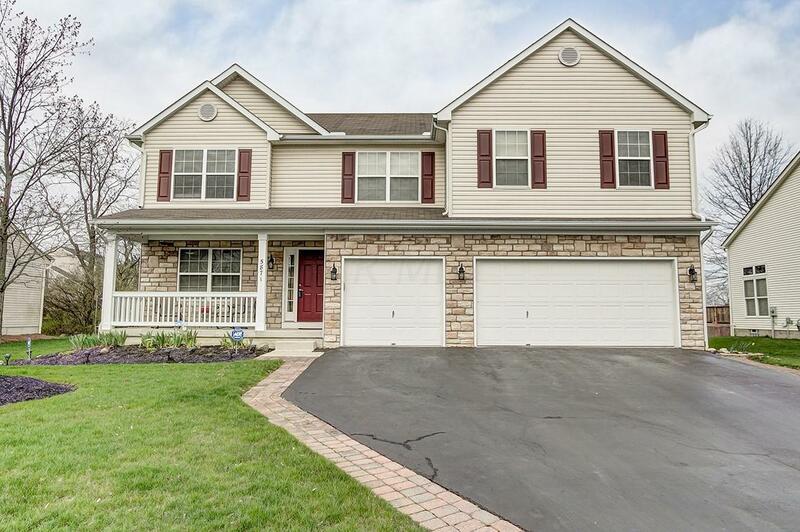 COME SEE THE NEWLY RENOVATED FIRST FLOOR, Some of the pictures have been updated, but more has been completed Beautiful 4 Bedroom, 2.5 baths 3 car garage home in desirable Grant Run Estates. Open Family room, Dining area & Kitchen layout, plus a walk-in Pantry! Formal living on the main level could also be used as office. Upstairs Laundry, LARGE Loft/rec area with a built-in desk, a Spacious Master Suite w/ walk in closet. Basement includes a finished rec area, separate work/shop area, 100 Amp Auxiliary box and awesome storage area! Beautifully landscaped with covered front porch & large rear deck with views of a pasture. Close to the new hospital, shopping, dining, bike paths, parks! Furnace replaced 01/18. Agent is related the seller.